My students were used to being told what to do and when to do it. When faced with a problem, they came to me for answers. Creating a plan before jumping in was not something they were used to doing. Some kiddos thrived in an environment of making and some were terrified to make mistakes. Based on what I was seeing, I knew that I needed to change the way I was approaching teaching and how my students were learning. This was my aha moment! 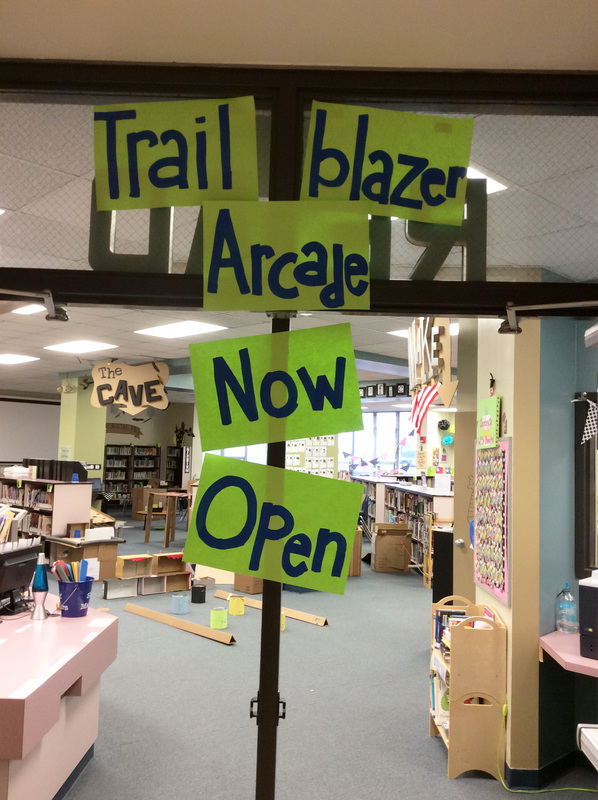 While building our arcade games, I immediately began to change the way I reacted to student questions and problems. For example, I stopped solving their problems and instead gave them some options they might want to try. 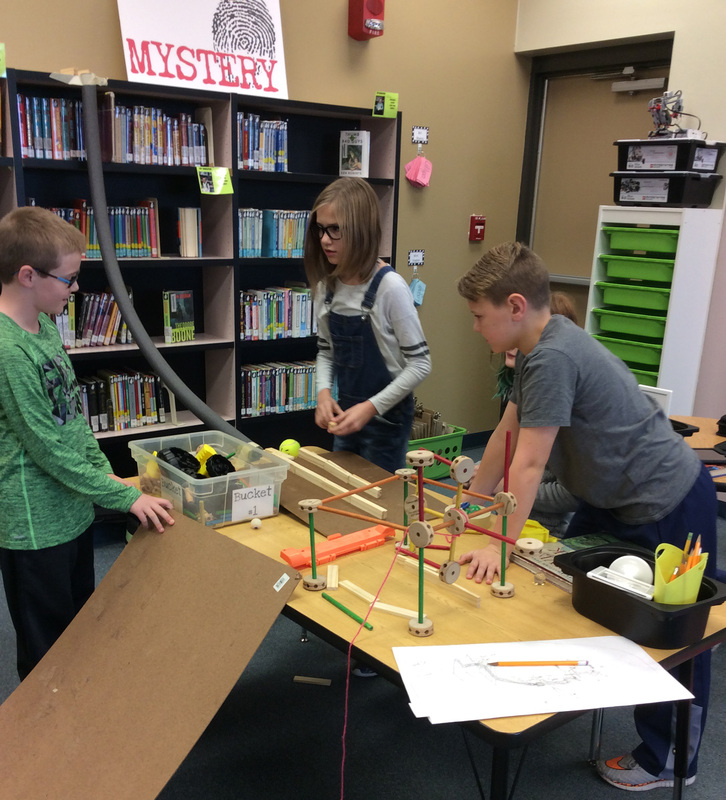 When they couldn’t figure out a way to get done what they wanted, I suggested they sit down, collaborate and brainstorm with their groups and then try some of the ideas suggested to see if any would work. When tape got wrapped up in scissors, I stopped fixing the problem and quickly learned to pause and teach a mini-lesson. During these lessons, I modeled the best way to tear tape and many other maker skills as well. 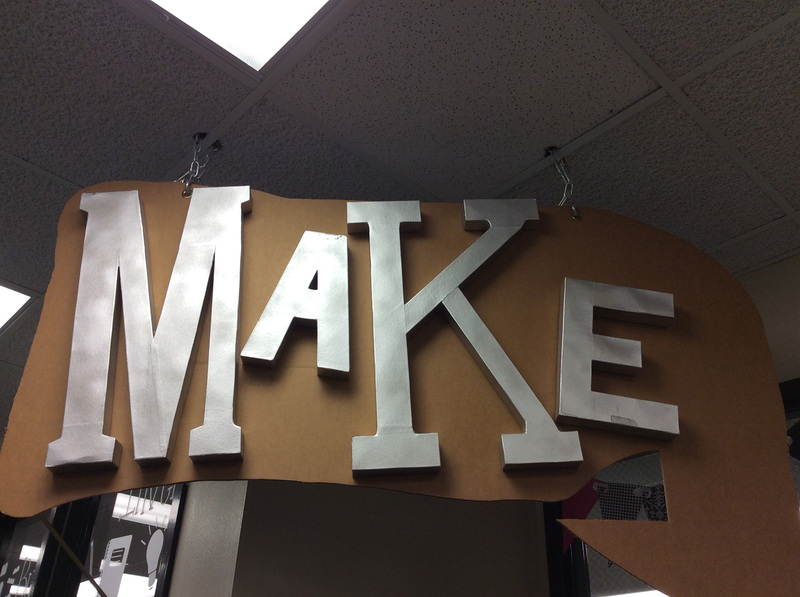 That first maker experience was the beginning of an amazing adventure in learning! Over the past four years, I have become a better teacher and my students have been exposed to truly exceptional learning experiences. 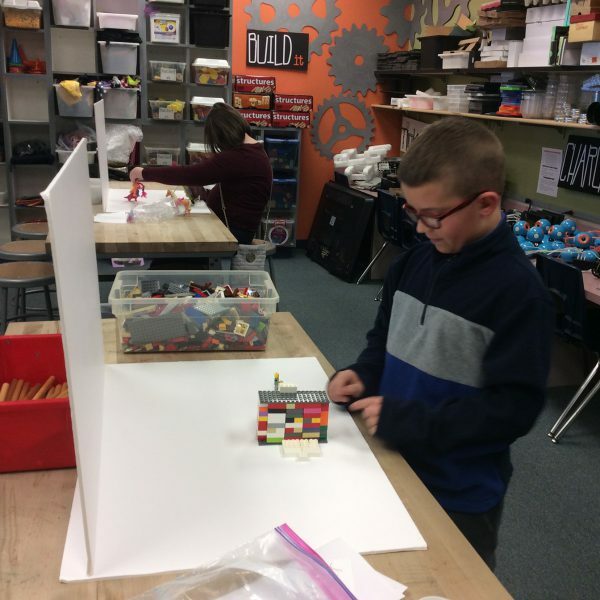 After going through the process of building our makerspace and allowing my students to explore, I now see that when you teach through making, there are so many benefits to students. 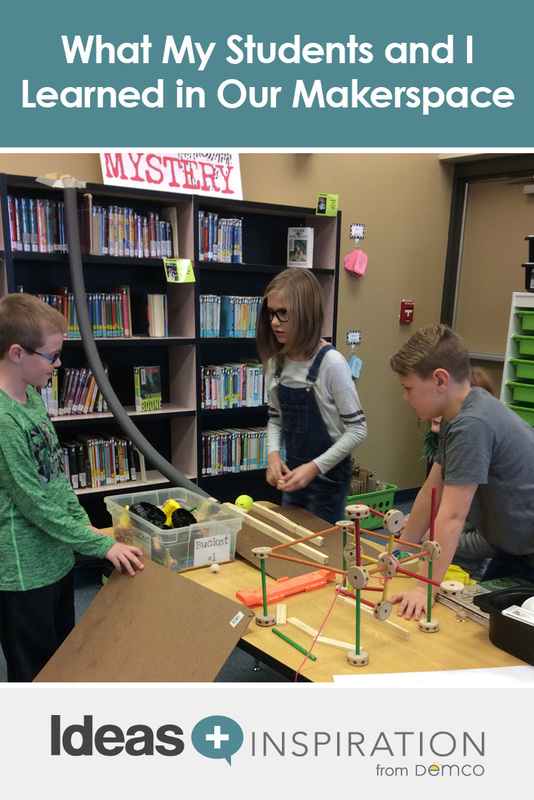 Let me share with you what I now see from students in our library makerspace while doing various projects. 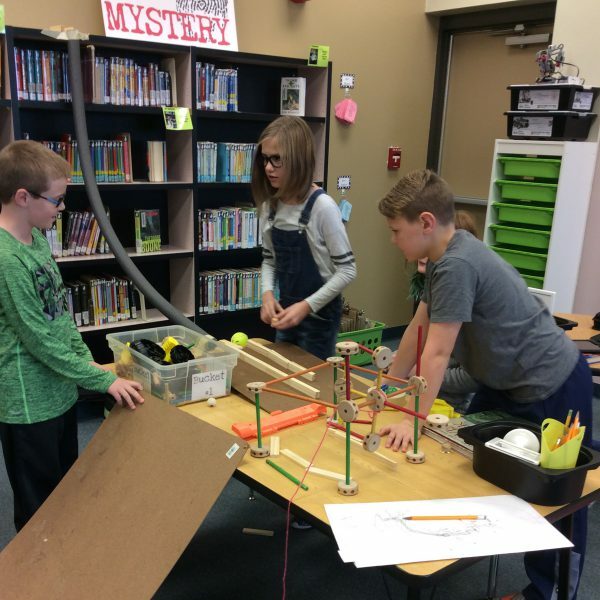 students who are driven to create a successful and marvelous machine. students who collaborate and struggle (sometimes even cry) with their team, but are ultimately successful in creating the best way to solve a problem. students who are not usually outspoken and bold become leaders in their groups. Those quiet, reflective kids have so much to offer! students who sometimes have behavior issues have none because they have ownership in the success or failure of their machine. students being respectful of others by cleaning up their materials so the space is ready for other learners. students who, when given the freedom to create, come up with the most incredible ideas for games. students learning the ins and outs of a new tool by reading, researching, trying, collaborating, helping one another, viewing tutorials and relying on themselves, not the teacher. students showing flexibility in their learning by giving up on something that is not working and finding new ways to solve their problems. students who are not just consumers of information but creators. students who work their way through a design thinking framework to develop their ideas. students who learn from mistakes made by themselves and others. students reflecting on their learning to make their next experience even better. students seeking feedback from their peers to create the best game in their grade level. students working hard, knowing that our entire school community will be playing their games. students developing an individual plan that will end in a successful learning experience for themselves and those who will benefit from their passion. students setting daily goals and determining at the end of the day if they have met those goals. students who sometimes struggle in school truly flourishing when working on a project they are passionate about. excellent students learning to think for themselves and ultimately understanding that failing means you just need to keep trying new ways to solve problems. students who understand the program helping those that don’t understand it as well. students realizing that I am not the expert in the room and who are happy to teach me! students consulting an expert animator by viewing and dissecting his stop-motion projects and seeking answers to their questions. students showing perseverance by practicing over and over to improve their skills. students writing storyboards to plan out their projects for success. students sharing what they have learned with others, such as adding titles, adding music and recording voiceovers. students reflecting on the progression of their skills. students absolutely giddy to have choice in what they do. students reveling in all the recycled and craft materials as they joyfully make and chat with other makers. 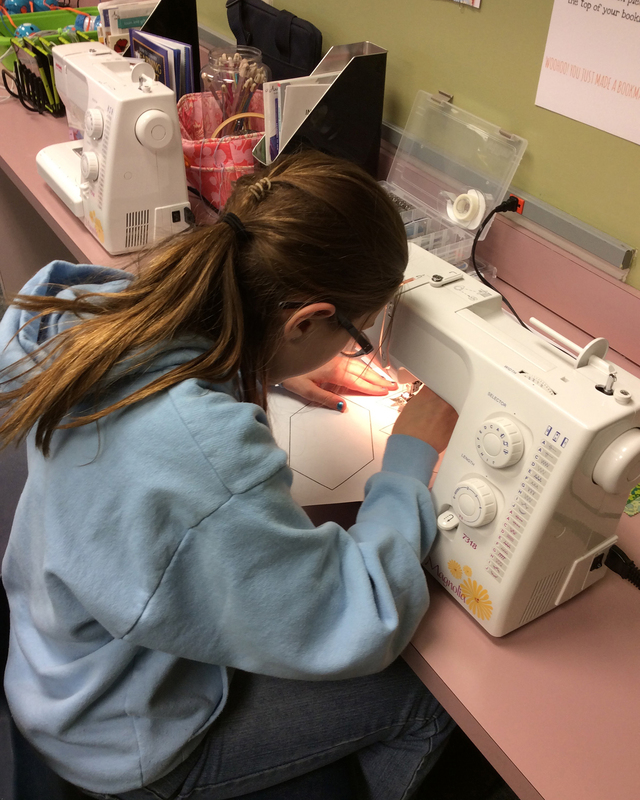 students working smart because they have limited time to make during this before-school club. students learning while thinking they are just having fun! 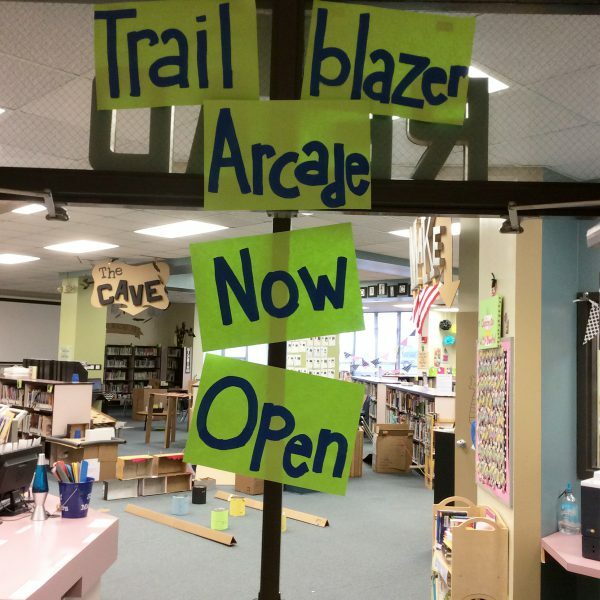 Explore tools and tips to help you create a space that promotes critical thinking, perseverance, collaboration and a maker mindset. 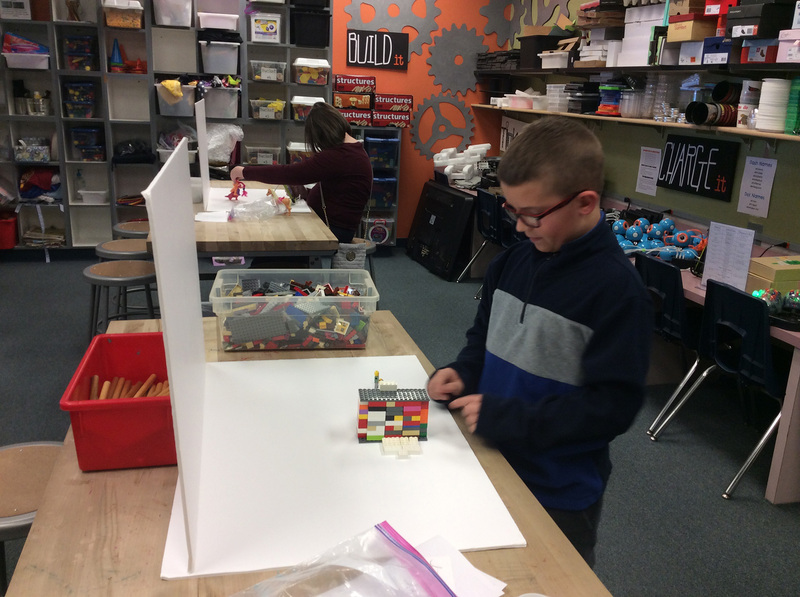 A dynamic maker program is an amazing learning resource that I think every student should have access to. 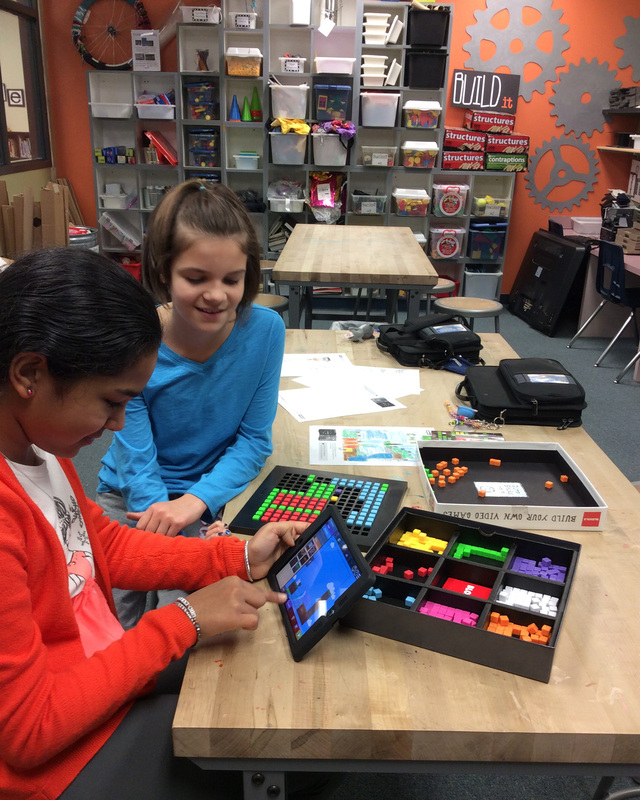 With the recent surge in popularity of makerspaces, you can easily find lists of high-tech or no-tech materials to include, storage for materials and many STEM/STEAM activities to help get you started. However, what your space looks like or contains does not matter! Your space may be a shelving unit stocked with recycled materials or a big beautiful room containing every new robot on the market. 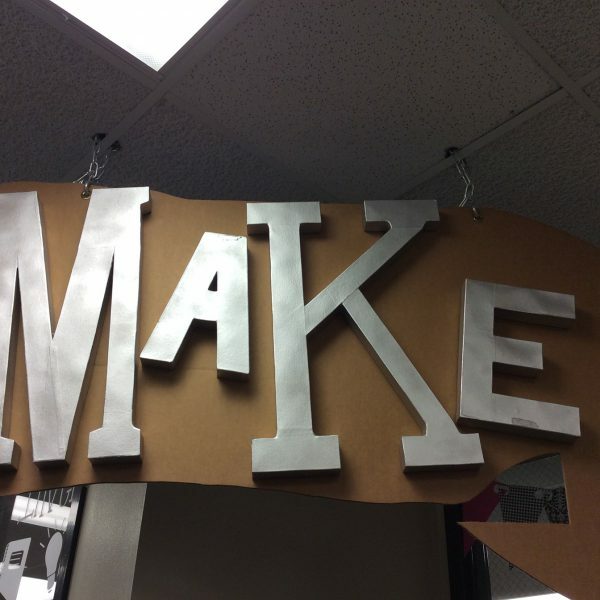 What truly matters is that your space and maker experiences provide your students with opportunities to learn from failure, collaborate with others, create, think critically, innovate, solve problems, question, invite curiosity, invent, honor others’ ideas, uncover new interests, tinker and certainly have fun while learning.